If you live in Labrador and are looking for answers on how to deal with your debts and creditors contact Sean Stack at S.R. Stack & Company Ltd. Get back on track with Stack. Living in Labrador, whether you live in Lab West, Happy Valley-Goose Bay or along the coast, you may be looking for help with your debts and wondering where to turn. Even though no licensed trustees in bankruptcy live in Labrador you can still get the confidential, free initial consultation you are looking for by contacting Sean Stack either by email sean@srstack.ca or toll free 1-844-610-5500. While Sean will be in Labrador whenever possible, if you need immediate help with your debt, everything can be done over the phone along with email, fax and mail. If your are looking for relief from the constant calls of creditors or the stress of trying to keep up with payments you can no longer manage contact Sean today to find out if a Consumer Proposal or Bankruptcy is the answer you are looking for. 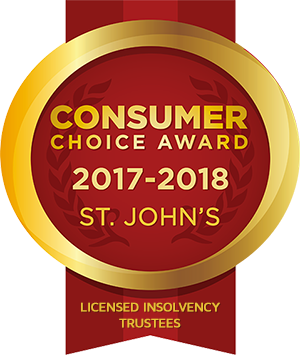 Sean Stack is a licensed trustee in bankruptcy and consumer proposal administrator providing tailored advice to Newfoundlanders and Labradorians through his company S.R. Stack & Company Ltd.